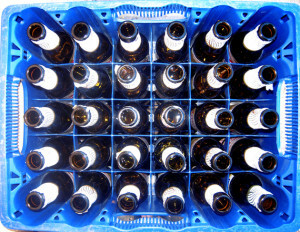 They Wasted 1,200 Bottles of Beer! 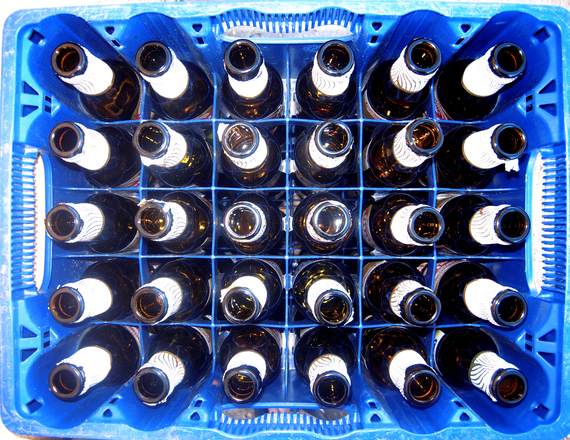 Thieves who broke into a shop in Muelheim, Germany, opened 1,200 bottles of Koenig Pilsener beer — but left the otherwise untouched containers stacked neatly in their crates and the amber brew inside to spoil. Investigators were initially surprised to find that all of the opened bottles were of the same brand. But they now believe the thieves were trying to win prizes offered through a brewery promotion. The bottle caps had tokens printed on them — with some entitling the holder to tools and speakers. Many of the caps weren’t winners and the thieves left bits of the metal strewn across the shop’s floor. Marc Baron, a Koenig Brewery spokesman, said he found it “quite incredible” the someone would go to all such lengths to steal bottle caps. “We have no way to track where the bottle caps were sold or in this case stolen, but we will now watch for someone who sends in an unusually high number of caps,” he said. Why are you telling these miscreants how not to get caught? If they were going to send in a bunch of caps, they certainly won’t now! Here’s the source, including a photo of the “victims”.